Description: There is a Bull for the Bull City (Durham), which is holding a Partner saw (I am a truckie). He is steeping over the Durham city skyline. 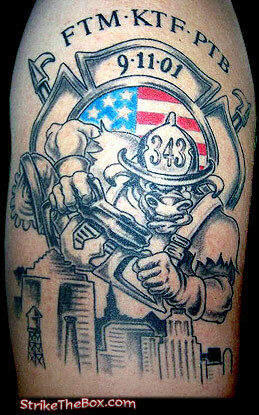 343 and 9-11 for the Brothers that we lost. FTM-PTB-KTF and the American flag says the rest.